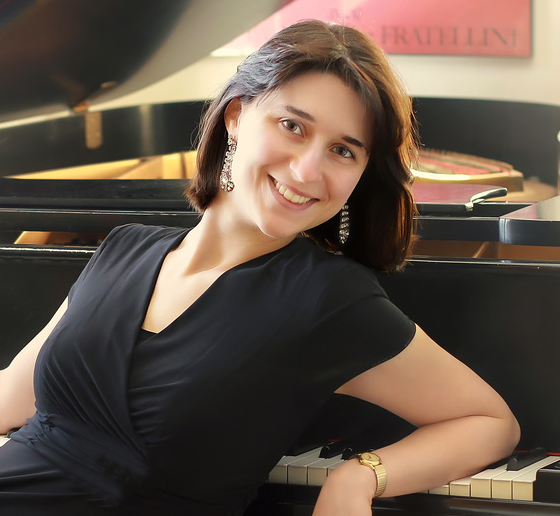 The Piano Program combines private piano instruction and group theory classes. Students grow their love for the language of music beginning with the most elementary concepts using "Music Mind Games" curriculum and other multi-sensory activities progressing to more advanced concepts that prepare them for Advanced Placement high school theory classes. All classes use a variety of learning styles to develop skills in decoding notation, sight-reading, ear-training and performing. Students engage in activities including movement, drumming, Orff orchestrations, music related art projects, and mini drama productions/readings relative to composers they are studying. Group theory classes enhance the private lesson experience, reinforce music concepts, build confidence and self-esteem and most importantly, develop friendships with like-minded students that support each other. *Music Mind Games curriculum of cooperative games for teaching music theory and reading is a multi-sensory hands on approach for the earliest aged students to seniors…no one is left behind in this fun-filled learning experience. This program is open to all music students, both pianists and non-pianists. This is the “first step” in our early childhood music program and is for our youngest toddlers/tykes and their parents. In this class you and your toddler/tyke will learn delightful songs, dances and musical activities that focus on singing and keeping a beat to enhance timing, coordination, listening and language skills. High- quality percussion instruments are used as well as puppets, stories and colorful props to make this a very special music time. 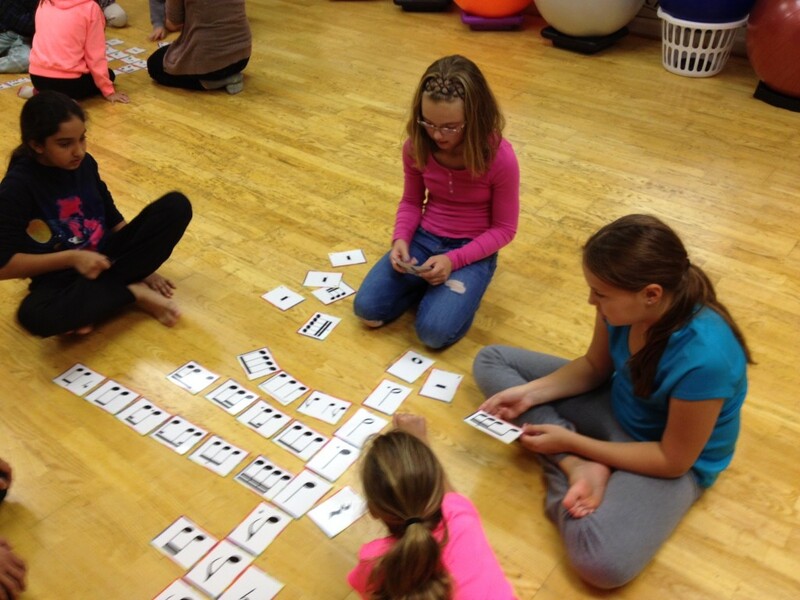 Repetition assists language development and memory, and improves coordination and timing. Helps children express their feelings productively, and develops their imagination and ability to focus. Please bring the music kit to each class. At-home participation with your kit is the key to the full benefits of the program. Music Mind Games curriculum of cooperative games for teaching music theory and reading is a multi-sensory hands on approach for the earliest aged students to seniors…no one is left behind in this fun-filled learning experience. This program is open to all music students, both pianists and non-pianists. 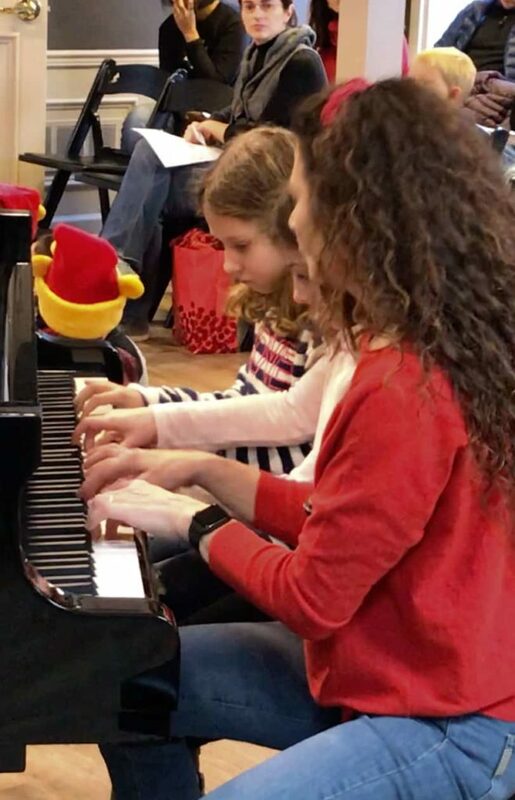 Students learn the fundamentals in jazz piano playing including improvisation, standard jazz repertoire, jazz chords/theory, and playing as a "soloist" , in a "trio", and as an "accompanist." 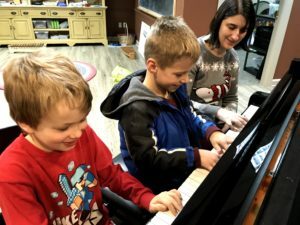 The Jazz group class can either be a supplement to private lessons, or a class for classical/traditional piano students who would like to learn the fundamentals of jazz. Appropriate for all ages/levels. 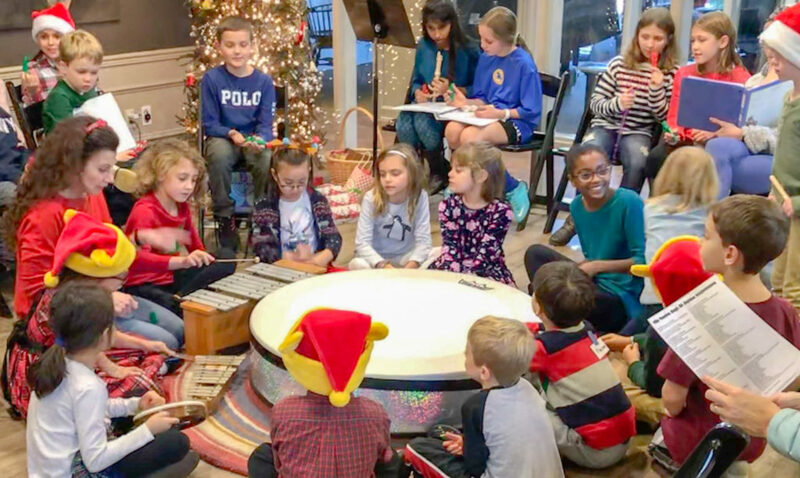 Elementary and Early Middle School class includes: Improvisation, individually, in a group, and with a partner Learning and playing jazz rhythms on percussion instruments Listening to/learning simple jazz tunes by ear, then playing on piano and/or percussion instruments. Middle School/High School class includes: Improvisation and "how to swing" Listening/analyzing standard repertoire Jazz duet playing with introduction to jazz chords, walking bass lines and improvising together. Drums Alive! is a "whole mind" and "whole body" experience combining fitness, music, drumming and educational concepts. 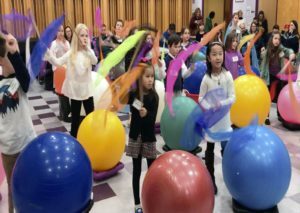 Pulsating rhythms, dynamic movements, music and powerful percussions make this class exciting and thrilling! It is a workout for the entire body improving the physical, emotional and social health of participants and is a powerful tool for stress reduction. Come and experience the joy of music, movement and rhythm and feel like a rock star! This program is so fun it feels like "play!" 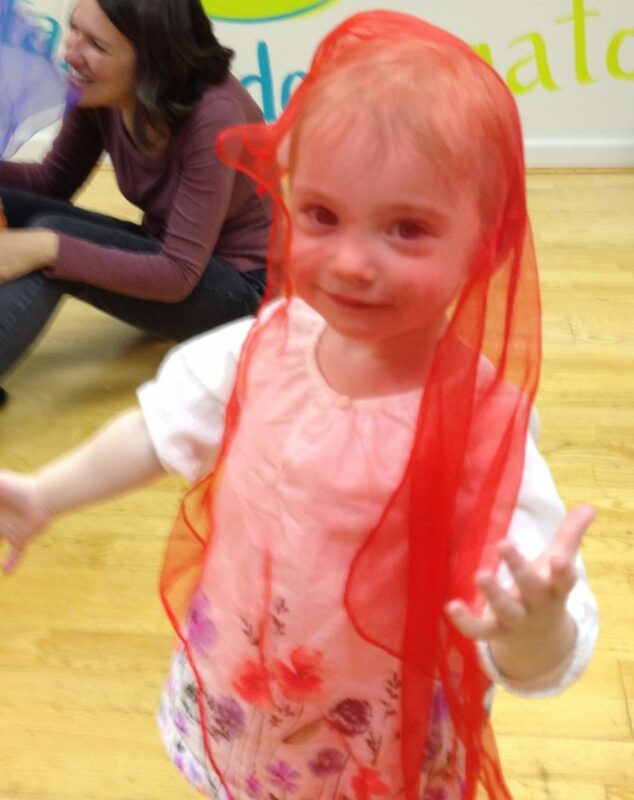 This is the "first step" in our early childhood music program and is designed for 2-3 years olds with their parents. In this class children and parents will learn delightful songs, dances, and musical activities that focus on singing, keeping a steady beat, coordination, listening and language skills. Additionally, this program assists children in developing skills in expressing their feelings, using their imagination and improving upon their ability to focus. High quality percussion instruments, puppets, stories and colorful props enhance and make this a very special music time!